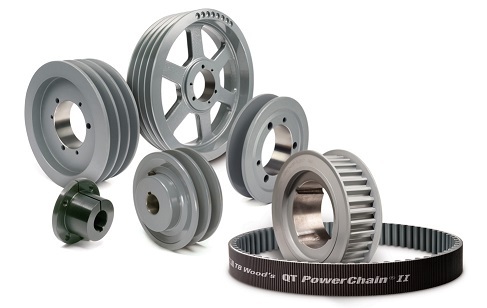 Rainbow Precision Products brings you a full line of industrial (Sprockets) pulleys from Continental ContiTech the leader in industrial belt and pulley manufacturing. For any drive application ContiTech products are known throughout the industrial market for their lasting performance and value. In addition to Falcon HTC, Hawk PD, Blackhawk PD, V-belts, Timing belts, NRG pulleys, Metal pulleys and other products. We provide fast shipping and unbeatable customer service, all at competitive prices. SilentSync Belts and Sprockets are a unique technological breakthrough. A patented H.O.T. (Helical Offset Tooth) design provides for continuous rolling tooth engagement, allowing the SilentSync System to run quieter with less vibration than any other synchronous belt available today. Check out our Pulley Section and Contact Us if you have any questions.